Are you looking for coach hire in Leighton Buzzard, with competitive rates and exceptional service from staff? Then you have come to the right place! 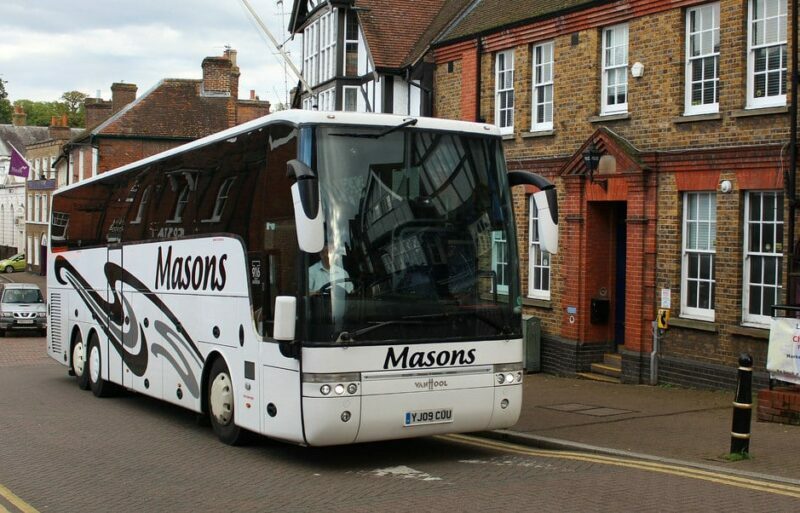 Masons offer coach hire, minibus hire and coach trips for groups and large parties. If you are going away for a special event, need travel for a wedding or a school trip – contact Masons, and we will provide you with a quick, free quotation. It can be difficult to plan a long trip for a big group of people. Masons understand you want this to be as easy and affordable as possible, without having to sacrifice comfort or jump through hoops to get it organised. We aim to provide outstanding service, and our customer testimonials prove that this is what we do. We are just a 20-minute drive from Leighton Buzzard, so if you’re planning a trip either to or from this area and want exceptional customer service, give Masons a ring on 01296 661604, or fill out our online contact form and a member of the team will be in touch shortly.